An accomplished Senior Executive, Web Developer and entrepreneur with demonstrated success across the hospitality, entertainment, and consumer goods industries. Leveraging extensive experience in online marketing and organizational branding, he is a valuable asset for start-up or early-phase businesses seeking guidance in branding and marketing strategies and/or profit and loss management for forecasted success. His broad areas of expertise include web design, branding, content marketing, e-commerce, and social media strategies. Throughout his executive career, Brett has founded multiple businesses including CollegeCures.com, thatDROP.com and WebsiteSchool.com. In addition to running these companies, Brett serves as the CEO of Ambition Insight, a creative web development and media agency, which he has been growing since 2005. Brett has had tremendous success over the years and consistently delivers major organizational achievements. He started Ambition Insight while he was still learning what it takes to build a successful business and has generated over $1.1M in revenue. Brett has mastered the art of networking and has worked with numerous big-name clients such as Sony, Best Buy, Adobe, Levi’s, Coca-Cola, and Chevrolet. His most recent business venture, thatDROP.com, was a part of the Complex Media Network, one of the largest and most influential collection of websites and online brands targeted at 20-something males. Brett studied Business at the University of Connecticut and has completed courses in Multimedia Authoring, Digital Imaging, Electronic Publishing, as well as Real Estate Practice and Law. He has been the recipient of numerous honors and accolades for his work and is a two-time nominee for the Developer of the Year award. 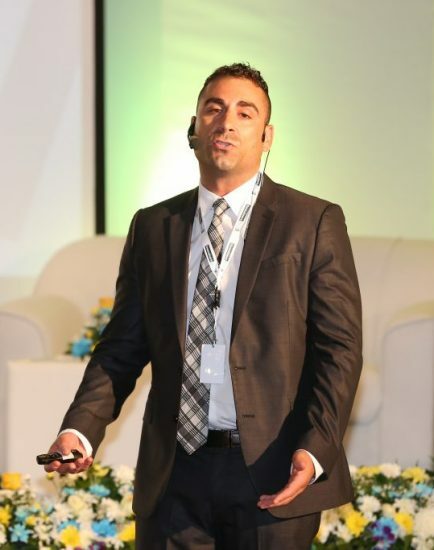 He serves as an industry expert and regularly presents at events and courses on topics including online branding, building a profitable website, building blogs and lead generation websites. Brett’s owned & operated websites have served over 500,000,000 advertising impressions. Brett has accumulated a combined social media presence of over 130,000 followers. Brett’s websites have attracted advertising and partnerships with numerous Fortune 500® companies and major brands including Complex Media, Verisign, Microsoft, Sony, Adobe, Best Buy, Levi’s, Dr. Pepper, Calvin Klein, Vonage, Vivint and many more. Brett has presented several highly-rated and highly-attended webinars with SCORE.org and The Office Depot Foundation, and partnered with major companies like Verisign on speaking engagements. Brett has built over 820 websites, starting in 2001 hand-coding HTML and evolving into primarily WordPress development in 2010. Brett taught Web Development, SEO and WordPress training courses at Nova Southeastern University in Davie, Florida and has spoken & presented at the South Florida WordPress Meetup Group and the Orlando WordPress Meetup. Brett was a featured Speaker & Expert Panelist at THE Domain Conference in Fort Lauderdale, Florida in 2015 & 2016. Brett was a featured Speaker at the Domainers Meet Conference in Dubai in 2016. Brett spoke at the NameSummit Digital Branding Conference in Midtown Manhattan, August 2017. Brett has trained and consulted over 1000 individuals & over 500 small and medium-sized businesses. Brett and his companies have been featured in the Miami Herald, Broward/Palm Beach New Times, South Florida’s Sun Sentinel and appeared numerous times in DNJournal, DomainNameWire, Clutch, VoyageMIA and several other industry publications. Interested in having Brett Napoli speak at one of your events? Brett will discuss proven online marketing strategies that will help grow your brand, maximize revenue, properly manage your online strategy, focus on user experience and will share tips and tricks to grow your online business. A framework to understanding online strategies that will immediately grow attention, focus your message and convert action into dollars. “Efficacy” vs “efficiency,” “documenting” vs. “creating,” and finding resolute self-awareness. Learn how to create the centerpiece of your online presence and brand. Creating, managing and distributing your content is critical for success.